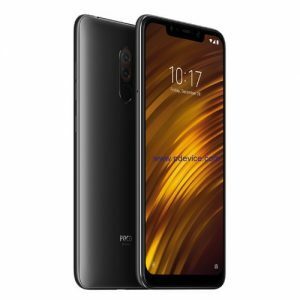 The Pocophone F1, which will be called Poco F1 in India, has the flagship Snapdragon 845 chipset and starting at INR20,999 ($300) it’s by far the cheapest smartphone to do so. The rear camera setup of Pocophone F1 is 12 MP + 5 MP. The selfie camera is 20 MP. The phone has a 6.18” LCD with a notch and Full HD+ resolution (2246 x 1080 pixels in 18.7:9 ratio). There is infrared sensor for face unlock tucked in the front notch. It consists an infrared lighting, scanning the face and a separate lens that reads the light that bounces off from the face. The panel is protected with a Gorilla Glass, but the company is yet to confirm the exact version. Battery is 4,000 mAh capacity with 18W Quick Charge 3.0 capabilities with a QC3 charger in the retail box. 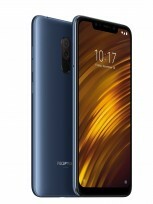 The Pocophone F1 has two stereo speakers – one on the bottom, the second is the earpiece. Having LiquidCool Technology, the phone should not heat up while used for gaming. Pocophone F1 comes in three color variants – Graphite Black, Steel Blue, and Rosso Red. The phone also comes in Armored Edition that has a Kevlar back for better grip and higher scratch-resistance.